A corporate donation to the Rainforest Fund is one way a company can show their customers and employees its commitment to human rights, the environment, and our collective future. Over the past 30 years, corporate support has enabled the Rainforest Fund to host 18 star-studded concerts and galas at Carnegie Hall, raising about $40 million and to finance over 300 projects across the globe, including a project that enabled 5 young Indigenous teenagers to follow their dreams of attending university in Peru. 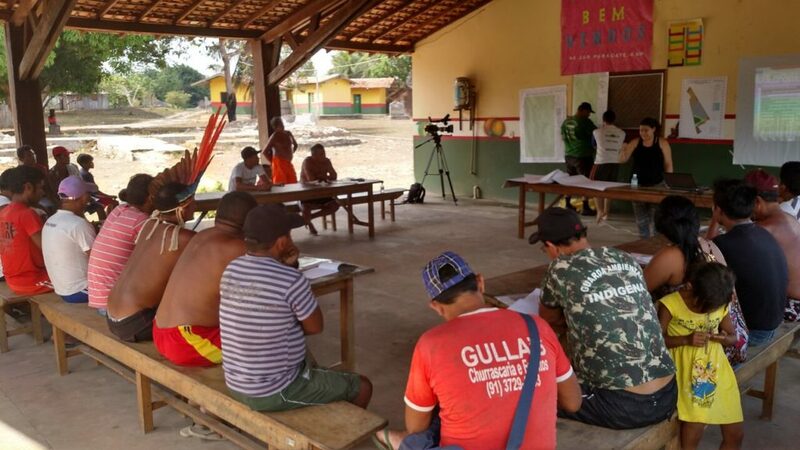 Workshop with Brazil’s Tembe community on mapping techniques. For more information or to discuss a partnership, please email Jennifer through our Contact Us page. Is Your Company Interested in Supporting Rainforest Fund? 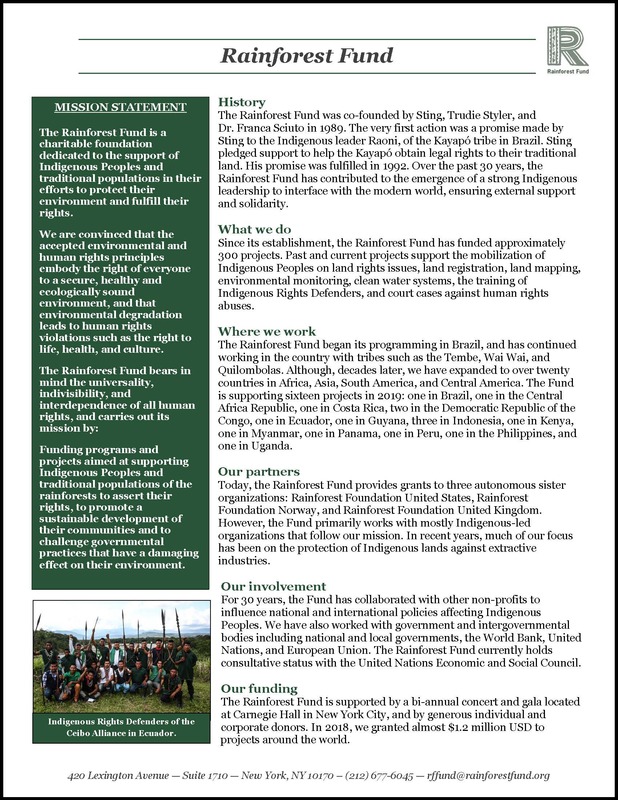 Direct Donation (pdf): funds donated will be allocated to supporting projects in the field at the Rainforest Fund’s determination. 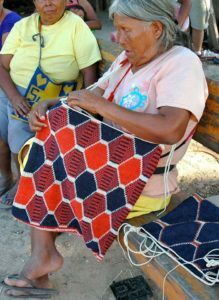 Ayoreo artisan in Bolivia weaves a traditional bag as part of an women’s economic independence project with Comunidad Viva. In-Kind Donation (pdf): items and products to be donated should be mutually determined between the corporate supporter and the Rainforest Fund. Product Profit-Share Donation (pdf): funds donated are associated with a corporation’s specific campaign or product that they would like to link to the Rainforest Fund. Sponsorships (pdf): funds donated for special events are used to underwrite the cost of the event itself, raising awareness for the cause, projects, and partners. Please fill out the form below as the first step in building a productive, mutually beneficial relationship for present and future generations! Rainforest Fund is a non-profit foundation, which relies on public and private donations in order to support the global projects we fund each year. For 28 years, Rainforest Fund has supported Indigenous Peoples throughout the world’s rainforests in their efforts to protect their lands and fulfill their rights. Projects range from assisting communities in gaining legal titles for their lands to installing rainwater purification systems in Indigenous villages after oil companies poisoned their groundwater. Our vision is to ensure Indigenous Peoples’ autonomy and rights to self-determination, and your donation will help them to achieve their goals and can continue this crucial work. Please describe briefly your company, how it operates, and who its target is. Please describe briefly your business goals, interests in linking with Rainforest Fund, and how Rainforest Fund can help to achieve these goals. Please describe the nature of your company’s donation and its preferred use (if any). food for meetings and workshops, flights, and more. These tools are often the very nature of what Indigenous Peoples' projects rely on. For example, without fuel to travel from village to village, it would be difficult to lead successful workshops and meetings in communities, making decisions and progress impossible. With your help, we can ensure our partners have the necessities to ensure their projects run smoothly. Please describe briefly the product to be donated and its proposed use (if any). Rainforest Fund is eager to collaborate on sustainable initiatives that support the human rights and dignity of Indigenous Peoples throughout the world by partnering with conscious companies looking to donate a portion of their product(s) sales. Rainforest Fund relies on public and private donations in order to support the global projects we fund each year, supporting Indigenous Peoples throughout the world’s rainforests in their efforts to protect their lands and fulfill their rights. Projects range from assisting communities in gaining legal titles to their lands to installing rainwater purification systems in their homes after oil companies poisoned their groundwater. Our vision is to ensure Indigenous Peoples’ autonomy and rights to self-determination, and your donation will help them to achieve their goals and continue this crucial work. Please describe briefly the type of product below, including where it is made, existing campaigns/contexts surrounding the product, its materials, how and where it will be sold, etc. Please describe briefly your business goals and interests in linking with Rainforest Fund on this particular product. Please describe expected financial return and proposed portion to be donated to Rainforest Fund. 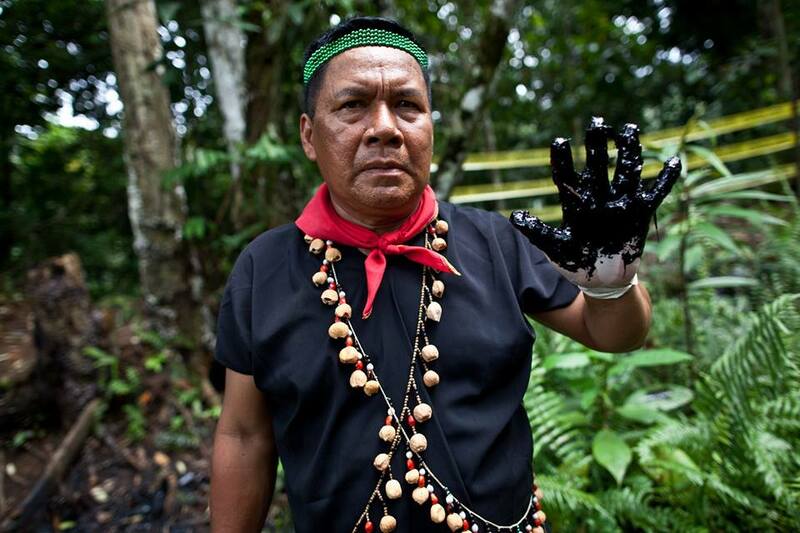 Rainforest Fund is eager to collaborate on sustainable initiatives that support the human rights and dignity of Indigenous Peoples by partnering with conscious companies. We are developing a series of salon style events in New York City, including great music, food, and company to spread awareness of our mission and raise funds for the Indigenous-led projects we support around the world. With your company’s sponsorship support, we can make these events a reality! Please describe briefly your company, how it operates and who its target is.